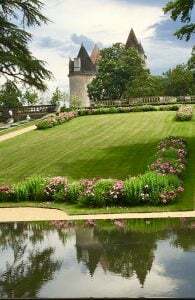 The Dordogne area, known formally as the Department of Dordogne, is in the Nouvelle-Aquitane region of southwestern France. Its namesake, the Dordogne River, runs though the area and lies between the Loire Valley and the Pyrenees mountains. The countryside provides a tranquil scene of rural life in France with charming villages, elegant chateaus, and Roman ruins sprinkled through gently undulating hills. 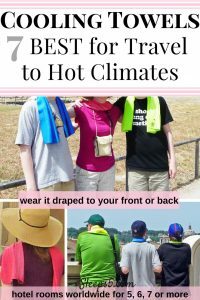 As an American observer, the western side of this region has captured the imagination of the British tourist, based on our frequent encounters–aside from, naturally, the abundant French tourists. We did not run into any of our own countrymen, which I will leave to the reader to decide was fortunate or unfortunate. Conversely, on the eastern side we rubbed elbows with Americans frequently. The scenic city of Bergerac had all the basic tourist amenities including a train station, airport and car rentals. Simultaneously, it has charming architecture and winding streets, particularly in the old part of town. And, of course, for Cyrano fans there is a fun statue of this famous character in one of the small squares. The village of Eymet is one of many “bastides” (fortified villages) with a lovely stream replete with swans running alongside the medieval section. It is helpful to note there is a handy tourist office in a discreet corner of the square. Other “must see” places are Sarlat, Beynac, and Monbazilliac. Lastly, is Saint-Émilion, a world heritage site, technically located in the Bordeaux region. However, it is so close to the Dordogne area, making it an easy day trip. This is an ancient city built into a steep hill with amazing views and fascinating history. 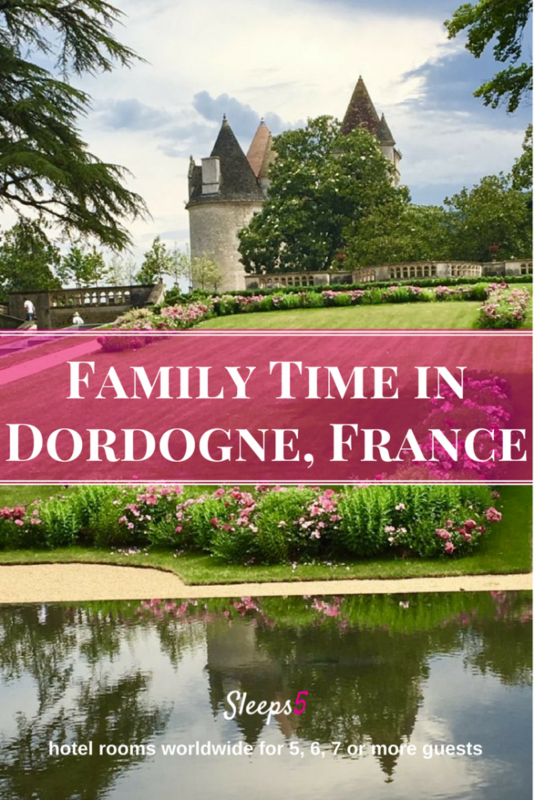 The Dordogne has plenty of activities and wonders for families with all ages. If your family is all about the “pool” — and you know who you are–then make your reservations accordingly. Swimming pools are not universally available in all locations. Regardless, there are many water activities to be had along the lazy rivers including canoeing and kayaking in Beynac. If medieval castles are more your thing, check out Château Castlenaud think weaponry and warfare. Or, visit the fairy tale Château des Milandes with its youth workshops: falconry and “musketeering” plus a children’s garden castle. 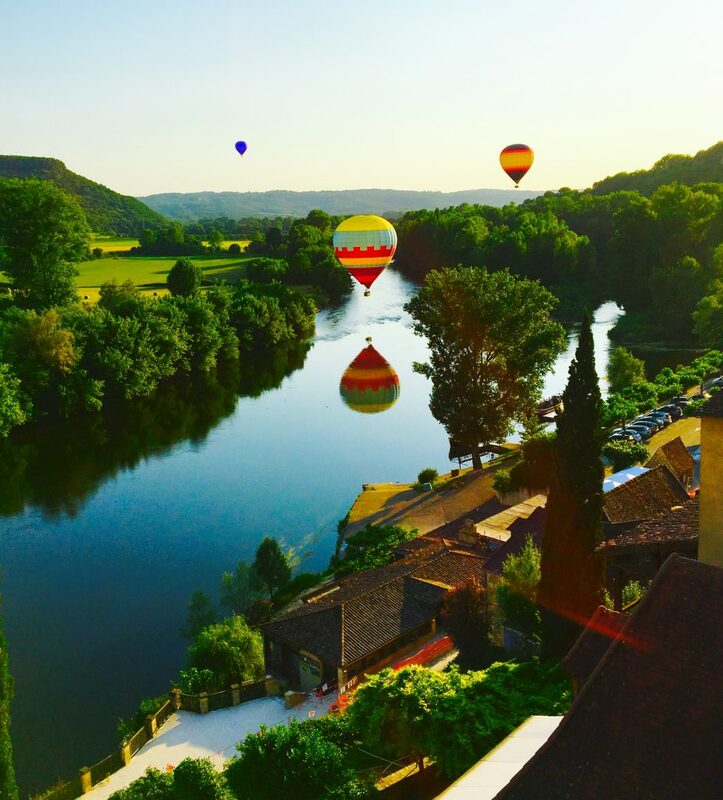 Finally, other favorite family activities in the Dordogne include: hot air balloon rides, the caves of Lascaux and Font-de-Gaume, rock shelter of Roque de Saint Christopher and the enormous hanging Gardens of Marqueyssac. *Please see below for hotels that sleep a family of five or more!